Posted by raznprince in Pokemon TCG, Pokemon Video Games. I hope everyone had fun attending the State Championships these past few weeks! I went and played at both GA and FL States these past few weeks and learned a lot of popular deck strategies. I even earned 2 Championship Points for placing in the Masters Top 32 at GA States! Next up on the tournament train is the Regional Championships. Regionals is a two-day event in which the TCG tournament takes place on the first day and the VGC tournament takes place on the second day. The nearest one in our area is up in Athens, GA on April 14-15. If you are interested in going, click here for more information. This information will also be made available on the Tournaments Tab above. If you won’t be attending this area’s Regionals, you can check out other locations by clicking here. Keep in mind that all Regional Championships are scheduled on the same weekend. I will be looking to coordinate another WR/Macon Regionals warm-up tournament in the future, so stay tuned. As always, let me know if you have any questions! I will be judging at Regionals, so I hope to see you there! If you are planning on participating in the first global wi-fi competition for the Pokemon video games, remember that registration opens on midnight UTC on Thursday, which is 8:00 PM Wednesday for people living in the Eastern Time Zone (such as ourselves). The competition begins on Wednesday, March 21st, at 8:00 PM Eastern time, and ends on Sunday, March 25th, at 7:59 PM. For more information on this competition, including how to set up your game for registration, see this page. Players will be participating using either Black version or White version. The competition uses Double Battle format, without the Wonder Launcher. You will be using the pokemon which you’ve placed in your Battle Box. You may register 4-6 pokemon in this box (all pokemon must be different). Upon registration for the competition, your Battle Box will be locked, meaning that you will not be able to add or remove pokemon from the box until the competition ends. The following pokemon are banned from the competition: Mewtwo, Mew, Lugia, Ho-oh, Celebi, Kyogre, Groudon, Rayquaza, Jirachi, Deoxys, Dialga, Palkia, Giratina, Phione, Manaphy, Darkrai, Shaymin, Arceus, Victini, Reshiram, Zekrom, and Kyurem. No pokemon obtained through the use of game-altering devices are allowed. All pokemon over lv. 50 will be set at lv. 50 for the battle (like in Infrared battles). Pokemon under lv. 50 will be left as-is. At the start of a battle, each player will be able to see which 6 pokemon the other player has on hand. They will have 2 minutes to pick 4 pokemon from their own team to use in the battle. The first two pokemon picked will come out first. There will be a 30-minute time limit enforced in the game for each battle. If a battle has not ended after 30 minutes, the game will automatically end the battle and apply tiebreakers to decide the winner. Players have 1 minute to choose their move during a battle. If this time runs out, the game will make the selection for them. Players who have a significant number of disconnects during matches will be subject to penalties, and may be disqualified from all current and future VG competitions. If you find yourself in a situation where your opponent has disconnected before the end of the match, and you get a blue screen telling you that the connection was lost, wait 90 seconds. The game should then hand you the win for being the only player present at the end of the match, and details will be sent to the Global Link regarding the disconnecting player. Remember that in order to earn a ranking on the Global Link for this competition, you must complete at least 10 matches that end in a win or a loss. Just a reminder that GA State Championships are tomorrow! If you are going, information is posted under the Tournaments Tab above, and don’t forget that you will need to bring your Player ID and preferably a completed decklist. I will be attending the event as a player. I got clarification on PokéGym for the abbreviation for Next Destinies and it is NXD vice NDE like I originally put out. This update has been made on my Constructed-Modified Format post. Please use NXD as that abbreviation from this point forward when filling out your decklists. If you will not be attending States tomorrow, Gryphon will be available to run League, same time and place. Gryphon and I hope to see you out playing Pokémon this weekend! Many of you who are new to the TCG or have been playing for a while may not already know about the change in the Player Rewards system. Starting September 2011, the Pokémon Company has implemented a new system that now involves the use of Play! Points. If you have a Player ID that is registered on your Trainer account on pokemon.com, you can opt into the Play! Points Player Rewards system. Play! Points replace the previous Player Rewards system and are designed to give rewards to players who frequently attend Pokémon-related events, and to qualify players into high-tier tournaments where knowledge and experience with tournaments is required to participate. The number of Play! Points you earn will determine the quality of rewards you will receive throughout the Tournament Year. Sanctioned, Non-Premier tournaments-1 Play! Point per month (up to 12 points per year). League Season-1 Play! Point per League Season attended (8 seasons = up to 8 points per year). 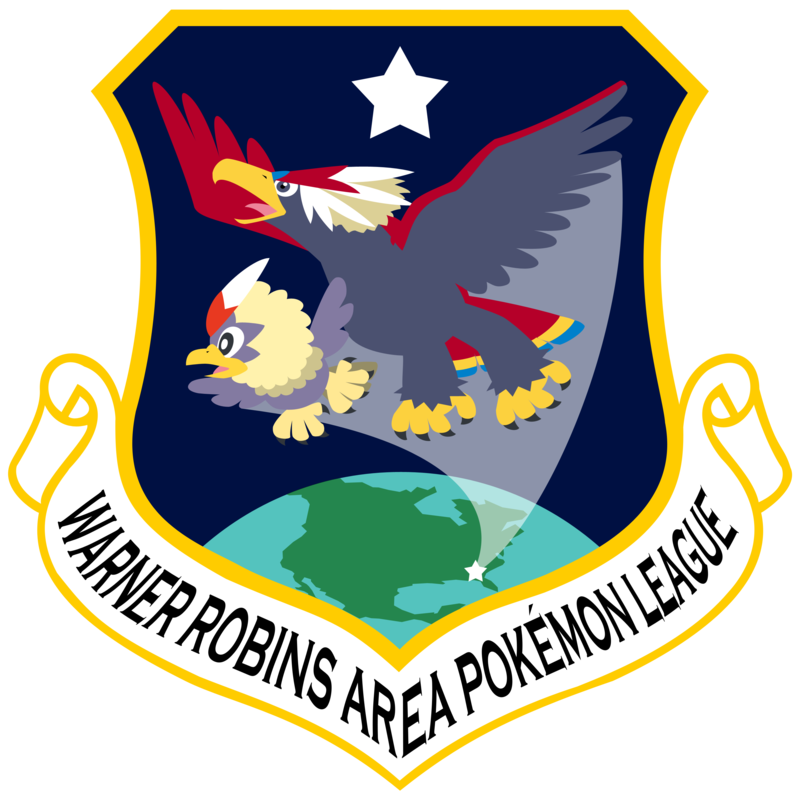 For the WR Area Pokémon League, you must attend at least ONE League Session each season in order to get credit for the entire season. Also, you are not limited to the number of different Leagues you can attend. Keep in mind that side events may also be run at the Premier Events with the possibility to earn even more Play! Points. Also, Play! Points can be earned by participating in Video Game Championship series (VCG), however that system runs parallel to the TCG and Play! Points earned in the VGC don’t add to or count towards the Play! Points earned in the TCG. Play! Points are not to be confused with Championship Points, which are awarded to players ranked among the top of their age divisions at Premier Events starting at the Battle Roads level. The same principle above is true for Championship Points earned in the VGC. Championship Points are designed to determine invitations to compete in the World Championships, and will be explained in a later blog. For more information about Play! Points, click here. As always, please let me know if you have any questions! Posted by Gryphon in Events. From this Saturday, March 10th, to April 8th, Black and White version players will be able to download a special version mascot from Nintendo WFC. Players with the White version will receive Reshiram, while players with the Black version will receive Zekrom. They will both be level 100 and will be holding a Dragon Gem. Reshiram will have the moves Blue Flare, Fusion Flare, Mist, and Draco Meteor, while Zekrom will know Bolt Strike, Fusion Bolt, Haze, and Outrage. Tucking these special event pokemon in with the Game Sync, and sending them to the Dream World in the Global Link, will allow you to visit a special area in the Dream World, modeled after the city of Eindoak from the Victini movies. This event-exclusive area has a Victini mini-game where you can earn a special C-Gear skin, with a decoration featuring the version mascot you sent to the Dream World. Global Link members with both Black and White versions synced with their account will ultimately be able to earn both skins, so long as they downloaded both of the version mascots through the wifi event. Also, remember that the 2012 International Challenge is right around the corner! Registration for this wifi tournament will begin on Thursday, March 15th. Be sure to have your Battle Box ready; once you’re registered, your Battle Box will be locked until the tournament ends. You can find more information on the 2012 International Challenge here. A big thanks to those of you who attended the States Tune-Up tourney up in Macon today, and a big congratulations to our League’s own Rowell and Gryphon for dominating the Top Two in the Masters Division today! Feedback from the Macon Leaguers dictate that it may be desirable to hold montly, dual-city tournaments so that everyone has a fair opportunity of earning more Play! points and gaining tournament experience in preparation for future Premier Events such as Battle Roads, City Championships, etc. Please let me know what you think of this. Looking ahead, next weekend, March 10th, is the moment all you tournament players have been waiting for…the GA State Championships! If you are planning or at least thinking about going, information is posted under the Tournaments tab above. States this year will be located at the Gaming Pit in Lilburn. I will be attending this event (hopefully) as a judge and will be able to help any of our new players who need a Player ID. As usual, this tournament and all other sanctioned tournaments require a decklist and your Player ID number. Also, don’t forget that your decks must be built in accordance with the Modified Rotation (HGSS-on), and please keep in mind that you will expected to demostrate some knowledge of and strict adherence to the Tournament Rules to avoid receiving costly penalties as States is a Tier 2 Premier Event. Let me know if you have any questions about Tournament Rules. I have received the Bolt Season promo cards (Lightning Energy and Zebstrika) from Will, the League Owner up in Comics Plus in Macon, and I will distribute those come next league session on the 17th. As ususal, let me know if you have any questions or feedback. I hope to see you all up in Lilburn next Saturday! Gryphon here, to let you know that to the best of my knowledge, there will not be a League Leader available in Warner Robins this Saturday to record your points. If one of our League Leader deputies shows up that day (Ziggy, Stephanie, or Mike) then they may stamp point cards. Signup sheets will not be available this Saturday, but they will be within the month. Posted by Gryphon in Pokemon News. I have just received a new batch of Player IDs if you are or know someone in need of one. I will not be at league for the next couple of weeks as I will be judging up at the tournaments in Macon and Lilburn for States, but you can get them from me if you will be going to any of these events. When you are issued a Player ID, it is highly encouraged that you activate your Play! Pokémon Trainer account online on pokemon.com as soon as possible. That way, when you attend Leagues and either Gryphon or I submit the season attendance reports are sent to Pokémon Company, they can send us League Promos and badges for the next season and you will be credited 1 Play! point for that League season if you attended at least one session. The more players in our League with Trainer Accounts activated, the more League materials we’ll get! In addition to having an active Trainer account, Player IDs are very important for you to bring to League, Premier Events, and Sanctioned Non-Premier tournaments as Play! Points are awarded based on your participation. It is imperative that you bring or at least memorize your Player ID number as TOs/PTOs cannot enter you into these events and subsequently award Play! points. I will reiterate that TOs and PTOs use what’s called the Tournament Operations Managment (TOM) software on their computers to run their events. The TOM is only a program and isn’t a large database that holds every Player ID number of all players in the TCG. No two TOM softwares are alike, so please don’t assume that your Player ID number can be found in another TO’s/PTO’s TOM if yours is in mine. When in doubt, bring your Player ID to all events you attend! If your Trainer account is active, you can easily access your Player ID number anytime by logging in. Unless it can’t be helped due to theft, damage, loss, etc., please refrain from having to get a new Player ID number; getting issued two Player IDs may cause the Pokémon Company to lock out your Trainer account if they learn that you are playing under more than one Player ID number, and you may be required to provide an explanation as to why this is so. To avoid this inconvenience, please activate your Trainer account as soon as you are issued a Player ID! The GA State Championships is a Tier 2 Premier Event. This means that this is an event in which players are expected to have decent knowledge of tournament rules. Player penalties tend to be a little more severe compared to Tier 1 Premier Events, but please don’t let this discourage you from participating if you would like to attend. I would be more than happy to answer your questions about tournament rules. All Premier Events at the State/Provincial/Territorial, Regional, National, and Worlds levels are Tier 2 events. All players attending S/P/T Championships are awarded 3 Play! points. You are more than welcome to attend S/P/T Championships in other states if you are a traveling player or will happen to be in a particular state in the next few weekends. If you are interested, click here. Gryphon will be attending the Macon Tournament this weekend. Mike, the store owner for Heroes and Villains, will run league at the normal league time if you choose not to attend the tournament. Gryphon or I will let you know if this changes. As always, please let me know if you have any questions of feedback!